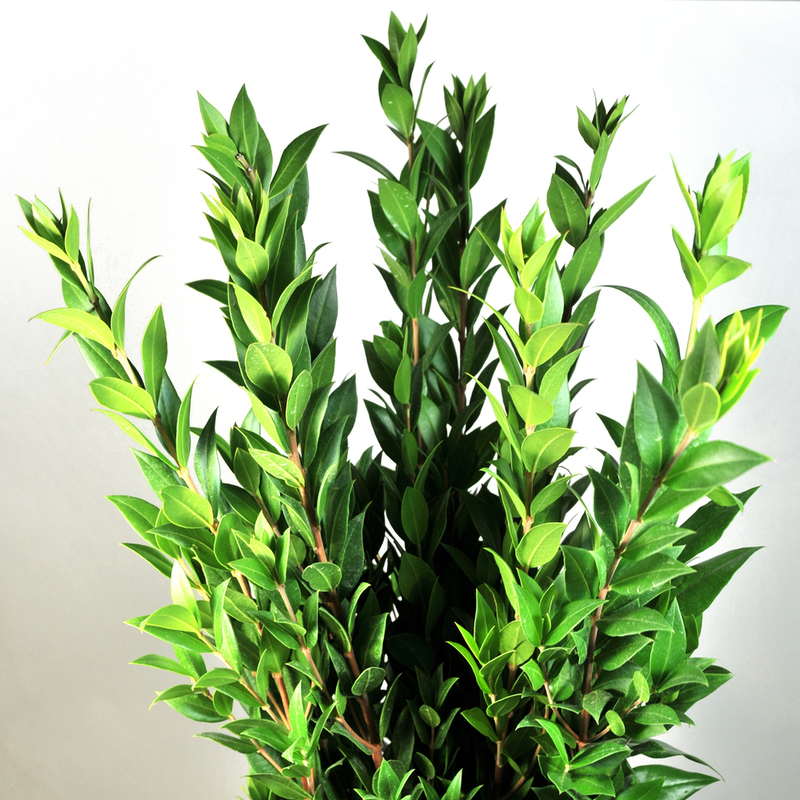 Myrtle is a fresh, leafy green filler that works beautifully in both traditional and modern arrangements. Dense, compact, and glossy green leaves cover the entire length of its stem, and its height ranges from 18-24 inches. It is known for its fresh look and long vase life. ORIGIN: Myrtus communis, or true myrtle, is native to the Northern regions of the Mediterranean. Some Mediterraneandishes include the Myrtle berry, and the plant is also used to produce an aromatic liqueur called Mirto. Traditionally, myrtle has been used to treat sinus infections in Europe and China, and Hippocrates, Pliny, Dioscorides, Galen, and many Arabian writers have included myrtle in their writings. CARE & HANDLING: Gently remove all leaves that will be submerged in water. Trim stems with a clean knife and place in a sterile vase filled with fresh, lukewarm water. Display away from direct sunlight and hot or cold drafts. Check water daily and replenish when needed.